Christen Biskelonis is a Physical Therapist who overcame 4 ACL reconstructions and is the CEO of Journey Physical Therapy LLC. We were connected by one of my childhood friends after she expressed her passion for injury prevention and safe body mechanics to him. After talking about her own experience with ACL injuries we dive deep into what puts athletes at risk for suffering this type of knee injury. Since Christen was local, we tested out my new camera by recording a couple videos on the red flags for at-risk athletes. 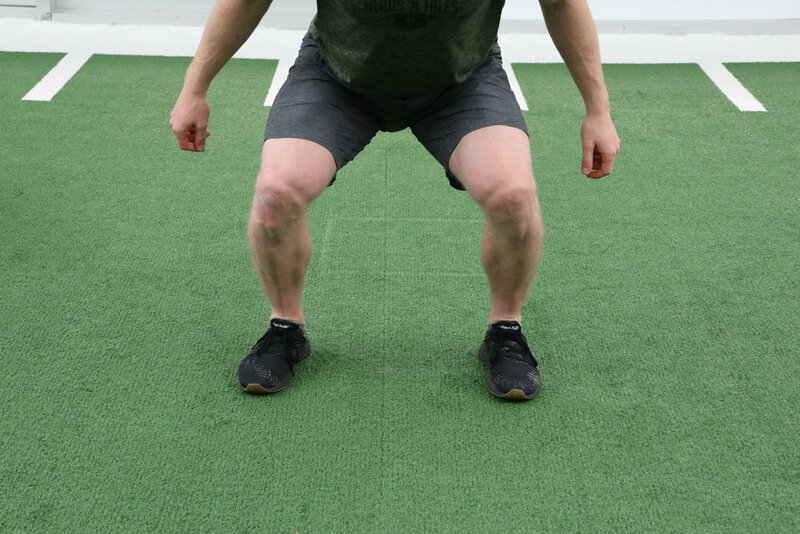 Christen teaches us about proper landing mechanics and how to strengthen your hamstrings which are both major contributors to ACL tears (below). The story of Christen's first ACL injury (right leg), which occurred when she was just 14 years old while playing basketball. What is was like being in a full leg brace and in a wheelchair on the first day of high school. The story of Christen tearing the same ACL in the first basketball practice back from the original injury after doing a layup. Why her second reconstruction, which required a pre-reconstructive surgery was the worst of all her surgeries. Why surgeons tend to lean towards patellar tendon grafts for professional athletes and their role of mechanoreceptors. The role of growth plates for young athletes and ACL surgery. The story of Christen's third ACL injury (left leg) and an athletic trainers role in saving her leg. The roles each knee ligament plays in stability. What sparked Christen's interest in physical therapy. The current state of health care and it’s impact on physical therapy. What to look for in a rehab facility. Why you shouldn’t wait until you get hurt to see a physical therapist. The importance of stretching, rest and hydration. Red flags for ACL risk factors. Why teenage girls are at the greatest risk for ACL injuries. Assessing ACL risks through movement screenings. Why there are so many non-contact ACL injuries among NFL players. The role music played in Christen’s recoveries. Why practice doesn’t always make perfect. WHERE CAN YOU FIND CHRISTEN? 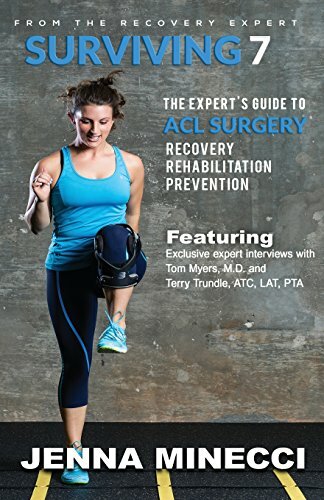 101 : Everything You Need To Know Before, During & After ACL Reconstruction w/ Jenna Minecci, Author of "Surviving 7"
Jenna Minecci is the founder of Jennactive, an ACL prevention company/support network, and the author of the book "Surviving 7, The Experts Guide to ACL Surgery, Recovery, Rehabilitation and Prevention." I came across Jenna's story on Instagram and it didn't take me long to figure out that I needed to have her on the podcast. Jenna suffered her first ACL tear while playing soccer when she was just 13 years old. Both Jenna and her family lacked knowledge in the area of ACL rehab at the time and she ended up making some decisions that in hindsight, turned out to be mistakes. Some of these mistakes include the type of graft used and an insufficient amount of physical therapy post-surgery due to exceeding the number of paid visits from her family's health insurance provider. Jenna would chant “Patience and Persistence” to keep her spirits high when she was feeling down. Jenna's experience with all surgeries to date, both repairs and revisions. Advice for choosing the right surgeon. Interview questions for prospective surgeons. The pro's and cons of the different graft options. What defines a failed surgery. The loneliness experienced during recovery. The stigma of the brace. How Jenna has improved her productivity through journaling positive affirmations. Mastery skills Jenna has developed through all of her surgery recoveries. The roles that hormones play in ACL injuries and how to combat some of these changes. WHERE CAN YOU FIND Jenna? Where can you get your own copy of Surviving 7? Rebecca Schumer Lee is a Sports Physical Therapist at MedStar National Rehabilitation Network and was a dual sport (soccer and softball) division-1 athlete at The George Washington University. Currently, Rebecca primarily works with athletes of all levels and patients with orthopedic injuries and/or post-surgical recovery at the US Lacrosse Headquarters in Sparks, Maryland. Rebecca reached out to me after coming across our Instagram account. She was understandably intrigued by our podcast after having 23 surgeries of her own throughout her athletic career. Rebecca believes her injury-proneness stemmed from the natural hyper-mobility in her joints. During our interview we learn about how although mobility and range of motion are important for both performance and in reducing the risk of injury, but joint stability is also important. Additionally, Rebecca feels her competitive drive and not knowing when to stop was also a contributing factor of her high injury rate. I can certainly relate to Rebecca on that one! Rebecca wishes she knew more about the importance of active recovery during her athletic career, which is a topic she touches on more than one occasion throughout the episode. Sixteen of the 23 surgeries were on her left foot after suffering a Lisfranc injury on October 6th, 2004 during her Junior year soccer campaign at GW. Rebecca remembers this day vividly and recalls her athletic trainer encouraging her to find a hobby, knowing her injury would required surgery. Easier said than done for such a competitive athlete who saw no life outside of sports. During our conversation she described her left foot as looking like a bag of screws (see picture below). I think that is a pretty accurate claim. Although she admits that it has taken time to come to grips with her various injuries and the resultant limitations those have placed on her active lifestyle, she has learned to make light of the situation (see below). "Pain is your body's warning signal that something is not right"
With all these injuries, Rebecca talks about the struggle of having the injury prone tag. She remembered having both a walking boot and an arm sling at one point while still in college. Rebecca gives advice in this episode on how to use your injury to your advantage. This isn't referring to the use of elevator services and getting sympathy from your friends, teachers and family. There is a lot that can be learned from watching from the sideline. Believe it or not, since high school Rebecca knew she wanted to be a physical therapist even before all the injuries. Below, she is pictured treating one of her patients with dry needling. As Rebecca states in her Instagram caption (above), there is not one tool that is going to solve everything. During our conversation, I asked Rebecca about some things injured athletes and their families should look for when choosing a PT facility. Not all PT practices are created equal. Rebecca's new favorite tool is the Owens Recovery Science blood flow restriction device featured in episode 84. Are your exercises always the same? Are you always off on your own or working with an aide? If any of those are true, you should look into finding a new facility. Throughout the recoveries from all her surgeries, Rebecca has found peace in her thirst for knowledge. Reading books and listening to podcast are two of her favorite hobbies outside of physically active activities. Below are some of her favorites. Personally, I am a huge fan of fifth one on the list, The School of Greatness, by Lewis Howes. WHERE CAN you FIND OUT MORE ABOUT Medstar Sports Medicine? WHERE CAN YOU FOLLOW Rebecca?